Whether you buy one from a charity lot or take the whole family to a farm to cut down one, there are many factors to consider when choosing a Christmas tree, and the National Christmas Tree Association offers great advice! 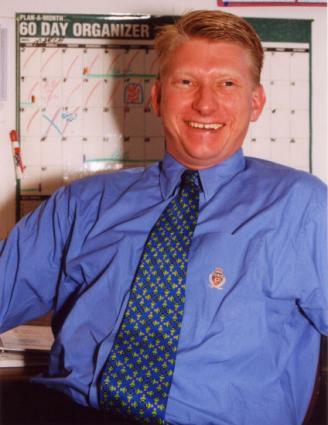 Rick Dungey is the public relations manager for the National Christmas Tree Association. In this LoveToKnow Christmas interview, he guides us through the many species of Christmas trees, tips for getting the best tree, and how to keep the cat away once the tree is up! 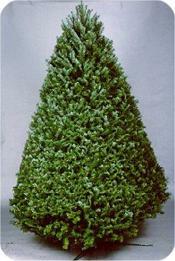 Please outline the common varieties of trees used as Christmas decoration. 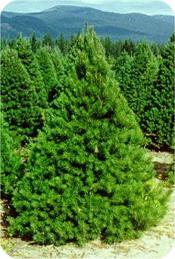 Firs, pines, spruces, cypress, and cedar are the most common species, with many varieties within each. And there's also Douglas fir, which is technically a hemlock, but most consider it a fir. While many of the species of trees planted, grown, harvested and used as Christmas trees are so similar, even experts have difficulty telling them apart except up close, there is a lot of variety for people to choose. Of the 35 different species, in all shapes and sizes, all sheared differently, the first thing you'll notice is needle type. Long or short and sharp or blunt are the first things to consider. Then branch stiffness, as some are more sturdy than others. And finally, there are color/hue variations among different species and within a species. Most are a dark, vibrant green, but some can be blue or silvery. View the many varieties of Christmas trees. Is there one species of tree that the most popular? Hard to say, as we don't track it by species. And many are regionally common, meaning, in a certain region, one species is very common, but outside of that region, most would not even know of it. 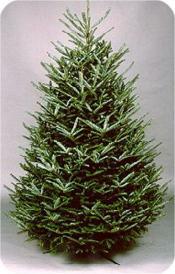 When choosing a Christmas tree, should we consider the branches and needles and whether they'll support our decorations? Well, I'm not really a decorating expert, but you've hit the proverbial nail on the head. If you want to string a lot of lights and hang lots of large, heavy ornaments, then find a species that has blunt needles and strong branches, like a Fraser fir or Noble fir, and ask for one "sheared open." Or, if you want to string some white lights and use light, elegant, understated decorations for maybe a dining room tree, pick a full White pine. Ultimately, it really boils down to personal taste. It would be silly for anyone to say "this is the type of tree you should use." What type of inspection should you give the tree before taking it home? Any tree that has lost too much moisture and is no longer capable of re-hydrating once inside the home will be brittle and brownish. The outer needles should still be full color and pliable. Run a branch through your hand and make sure the outer green needles do not come off easily. You'd be surprised. We get e-mails every year from people asking where they can find a "Charlie Brown tree." Again, it's all about personal preference. If you want an "old-fashioned" looking tree for a nostalgia theme let's say, then find one that fits that style. No matter what, please don't skimp or avoid a good tree stand that holds lots of water, even if it's a skimpy little tree. You'd be surprised how much water they can absorb. Learn more about caring for your live Christmas tree in this LoveToKnow Christmas article. Are tree choices limited to location, or can someone choose a Christmas tree based on what they like about a tree's characteristics and order it online, such as from a company like this one? Well, to some extent, yes, there are limitations. There are many species that you can only get locally at a choose and cut farm. While you can order some species online, there are many trees that simply are not durable enough to be shipped, either en masse via freight trucks or individually, to other locations. They simply wouldn't hold up and would look bad when you got them. The other restriction about ordering a tree online and having it shipped individually is size: it can't be more than 7-ft. tall. What are some good ways to recycle the tree once the season is over? Real trees are 100 percent biodegradable; they decompose and return nutrients to the earth. Hopefully your community has established as a recycling program, and there are many good ones all around the country. Mulching programs are common, too, but communities also use farm-grown trees as fish habitat in lakes and streams, to reduce beach erosion, and to protect fresh-water marshes. The list is extensive. I live in the city where we don't have curb-side pick up. So to remember which city parks accept trees after Christmas, I print the list from a Web site, and put that sheet of paper under my tree stand when I set up the tree. That way, when I take it down, the list of parks recycling trees is staring me in the face, there's no possible way I could not notice it! And I just wrap it in an old comforter, and take it to the nearest park and drop it off. Finally, any helpful tips for keeping cats out of the tree? Well, I would say two things: first, if you're concerned about any pet getting access to and consuming water from the tree stand, which is bad for them, there are many types of stands where the top is mostly enclosed and pets wouldn't have access to the water. Get one of those. Second, to prevent the tree tipping over (whether from cats or children behaving badly) use some clear fishing line to tie from the tree to something sturdy, like an end table or couch leg. A small spool of basic 20-pound clear monofilament line will do the trick. It's surprisingly strong and not too intrusive. Are real Christmas trees cut down from forests? Do live trees aggravate allergies? 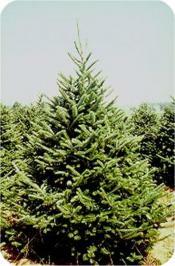 Read the facts about real Christmas trees. 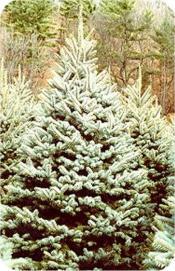 The National Christmas Tree Association has more great tips for choosing a Christmas tree. Read about how our nation's First Lady chooses the Christmas Tree for the White House. Remember, a real tree doesn't start or cause a fire, no matter how dry it gets. Wrapping paper near an electrical outlet is the biggest culprit. Review more holiday decorating safety tips. Want to support our troops during the holiday season? Learn about the Trees for Troops program.